Reiki is a natural form of healing discovered in 20th century Japan by a man named Mikao Usui. Usui began practicing martial arts at a very young age and later became a Tendai Buddhist priest. Additionally he worked with esoteric spiritual practices with roots tracing back to Shinto and shamanism. After a 21-day fast on Mount Karuma Yama as part of his Buddhist practice, Usui had a profound spiritual awakening and received a vision of fantastic lights and sacred symbols. After this experience he realized he had been attuned to a powerful energy that allowed him to heal himself and others with his hands. This energy later became known as Reiki. Usui began to teach students and opened up clinics for people to receive Reiki treatments. He passed his teachings to a navel commander named Chujiro Hayashi, who passed them to a Japanese-American named Hawayo Takata. Takata trained 22 Reiki Masters who spread the energy and the teachings surrounding it throughout the rest of the world. Reiki means “sacred energy” or “spiritual life force”; is an energy with a specific frequency used for healing. Usui taught that energy emanates from all parts of the body, specifically the hands, the eyes, and the breath. During a Reiki treatment, a practitioner places his or her hands on different parts of the body and channels the Reiki energy for the client’s spiritual, emotional, and physical healing. Reiki has a wide range of benefits on all levels. Receiving Reiki is deeply relaxing and leaves the recipient energized. Reiki aligns and opens the chakras, creating spiritual, emotional, and physical balance; it works well on both acute and chronic pain and illness as well as emotional issues such as anxiety and depression. Reiki is a great compliment to any other healing modality and has no contraindications. We all have an innate gift to heal ourselves and others. If we tap into our Divine self this healing energy becomes available, and Reiki is a powerful way to open the channel for Divine energy to come through. Reiki is a disticnt energy and carries with it the energy of the legacy of Reiki masters tracing back to Usui. After an initiation ritual developed by Reiki Masters called an attunement, one is permanently connected to the energy of Reiki and can access it at any time.The attunement connects you to the lineage of Reiki, which amplifies your innate healing abilities and gives you a safeguard from taking on other’s energies when doing healing work. Reiki is a multi-dimensional energy; the effects of a Reiki treatment transcend space and time, and therefore the energy continues to work after the treatment has concluded. Reiki can also be sent across space and time through a distance portal. A qualified Reiki practitioner can send this energy to an individual in any part of the world at any time. Distance healing sessions have the same effects as in person sessions; the recipient often perceives the same effects during the session as he or she would during an in person session. In 1980, Patrick Zeigler experienced a profound spiritual awakening and connected with the Sekhem energy while spending a night in the King’s Chamber of the Great Pyramid in Egypt. Later Patrick studied with Sufi sheiks in the Middle East and Reiki Masters in the US. In 1984 he introduced the Sekhem Healing Energy. As the teachings were passed down, many practitioners began to channel information about this healing energy. Other systems, spellings, and symbols were channeled, creating a very diverse community of Sekhem, Seichim, and Seichem practitioners. Sekhem is an ancient system of healing wisdom taught in temples of early Egyptian times. Sekhem comes to us through the star system Sirius; in ancient times, it first came to Lemuria and then to its colonies of Egypt and Atlantis. Over time the teachings became secret and were kept to only those truly dedicated to the healing path. In recent times people have reconnected with this energy, and while it is experienced differently by many, it comes from the same Source of all life. This energy is returning to us at this time to aid in the collective shift in conciousness that is now taking place. Sekhem is an extension of Reiki and works in conjunction with it. Like Reiki, it is channeled energy that comes from a source outside of the practitioner, not from his or her personal energy. Sekhem is higher in vibration than Reiki; for those already on a spiritual path that want to go even deeper into healing, Sekhem energy produces quick results. Sekhem energy is heart centered and treatments often bring about a recollection of ancient wisdom, sometimes past lives from ancient civilizations. More information can be found at http://www.sekhem.org.uk/members/sekhem. 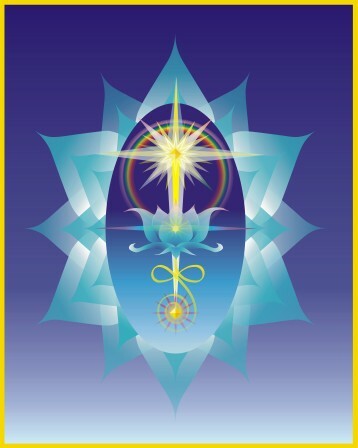 The IET official webpage states that: “IET uses the violet angelic energy ray, as brought to us through the nine Healing Angels of the Energy Field, to work directly with your 12-Strand Spiritual DNA.” IET angelic energy helps to release limiting mental-emotional programs stored at the level of cellular memory and replace and integrate healthier programs. At IET focuses on 9 integration points on the body, the treatment is focused and goes deep into many different emotions. The auric field is cleared and filled with light. Many feel this golden radiance surrounding their body and go into deep states of peace. For people already experienced in energy healing, IET can help to clear the soul star chakra, which contains our soul’s purpose and spiritual blueprint. Integrating this energy awakens our healing powers and directs us on the highest path for our spiritual development. More information can be found at http://www.integratedenergytherapy.net/.